I don’t usually post stuff that’s already all over the news media, but the publication of the first results from Planck requires some clarification. Big, expensive observation missions are put in place with one final aim: to test our model of the Universe. That’s what science is all about. 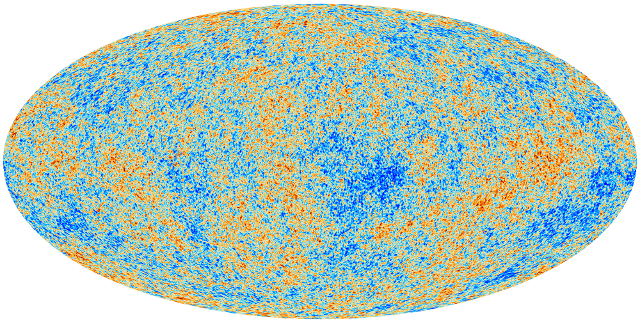 The results from Planck confirm Lambda CDM (the Condordance Model). Excellent. This increases our confidence in our model. Karl Popper’s “falsifiability” process is a trifle more difficult than good old confidence (used with huge success, and no hang-ups at all, by stock market modellers, but I digress). Upshot: we can trust our model. There is another question though. Can we rule out other models? Now this is what keeps scientists in employment. If our current model were the final word, it would be the end of science (predicted countless times). The short answer is no. Planck does not rule out models with an evolving dark energy equation of state. Huge sigh of relief all round. We’re not on the dole yet. It also shows (sorry – “does not rule out the absence of”) stuff that shouldn’t be there with the current model of inflation. So some tweaking required there. The good news in that particular market is that inflation is so poorly understood anyway. So tweaking it won’t cause cataclysmic paradigm shifts. Bottom line: a splendid job, with excellent results, and a good return on investment. Planck will probably not give us any teflon-coated frying pans but at €700 million, it’s an absolute bargain, and well worth it.